We've established a large, listening audience. Our site traffic, our embed codes, our newsletter, our partnerships get your sermons the maximum amount of exposure. We're working hard to get your sermons to every mobile device and TVs. Upload your sermons once, and they will be available everywhere, automatically! SermonAudio is in the business of helping and promoting the local church. Get on the map and get noticed! Don't take our word for it, read some stories! All broadcasters must adhere to the Articles of Faith which keeps the site free of churches with liberal theology. Finally, a sizeable site with some conviction. FULL membership refers to broadcasters and is for churches wishing to broadcast their sermons. PLUS membership is for listeners who simply wish to enjoy more features as a listener. Stream and download MP3 sermons -- unlimited! Watch and download VIDEOS -- unlimited! Read and download PDF texts -- unlimited! Subscribe to any podcast feed on the site! Download multiple MP3 sermons in batch! Your own personalized homepage + blog! Sell products in your own web store! Easily upload your photos in albums! Support for online articles and eDocs! Promote and podcast your own sermon picks! Upload an unlimited number of sermons! HIFI included for higher audio+video bitrate! Broadcast to iPhone + iPad! Broadcast to Android phones & tablets! Broadcast to other mobile phones! Broadcast to the Apple TV! Broadcast to the ROKU TV! Broadcast to the Amazon Fire TV! Broadcast to the Listen Line! Apple & Android smartwatch support! 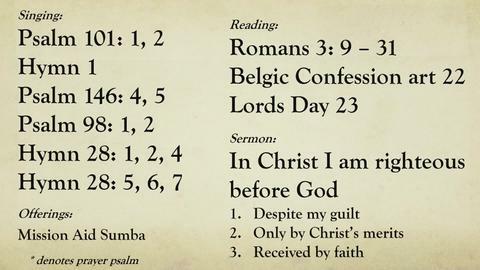 Sermons integrated with Bible software! HTML embed code for sermons and APIs! Upload PDF file to any of your sermons! Integrated Facebook 'LIKE' button support! Post special events with online registrations! Be listed in our Local Church Finder! Tap into SermonAudio.com's large audience! SermonAudio.com is the largest and most trusted library of audio + video sermons on the web from conservative Christian churches and ministries worldwide with over 1,661,600 FREE MP3 sermons which can be streamed, downloaded, or enjoyed via mobile device at any time. You can easily search through the entire sermon library by broadcaster, Bible reference, topic, speaker, date preached, language, or any keyword. please drop us an email and we'll mail one out to you ASAP. Our site motto text is taken from Romans 10:17 where it reads, "faith cometh by hearing." All broadcasters must adhere to the site's Articles of Faith. Absolutely no exceptions. Some of our broadcasters include John MacArthur, R. C. Sproul, Sinclair Ferguson, Ian Paisley, Ken Ham, Bob Jones University, Alan Cairns, Al Martin, Clarence Sexton, Joel Beeke, John Barnett, Richard Phillips, Jay Adams, Jeff Noblit, Voddie Baucham, Steve Lawson, and a host of "classic" sermons by Spurgeon, A. W. Tozer, Jonathan Edwards, and many more.. There is a large, active listening audience on SermonAudio.com hungry for solid Biblical preaching as indicated by the one million+ sermon downloads each month! Easy-to-read "Download Reports" in the PDF format are sent to all churches to show exactly which sermons people have downloaded and the general geographic location of these listeners. Each month, there are listeners from every State in the USA and from over 180 different foreign countries, including Saudi Arabia, Iraq, Iran, Iceland, and Nepal to name a few. For years, SermonAudio.com has consistently ranked in Google's top search results when searching for audio sermons and currently receives 30 million+ pageviews per month. Over 90,700+ subscribers receive our site's weekly email newsletter (70,000+ of whom are pastors and church leaders) and countless more visit the site anonymously. Faithful churches can tap into this large audience to extend its pulpit influence to both laymen and pastors alike! The Local Church Finder tool has made it easy for visitors to type in their ZIP code or partial city name to locate churches that are local to their area. Many people also use this tool to find conservative churches when they are travelling. It is our conviction that the only real answer to this nation's troubles is Gospel-preaching churches and so we've made it our business to help and promote the local church in any way that we can. Learn all about the ways..
All broadcasters enjoy the built-in benefit of being directly accessible on our popular iPhone + iPad and Android native apps. The smartphone has revolutionized how people listen to sermons by allowing anyone to access, search, stream, and enjoy audio and video sermons "over-the-air," without the need of a computer, all through an elegant, touch-based interface. In fact, we have native mobile apps for the iPhone, Android, Roku, Apple TV, Fire TV, Chromecast, and other mobile devices. Therefore, all sermons that broadcasters upload to SermonAudio, are automatically available on a plethora of mobile and non-PC devices. It's your job to preach. 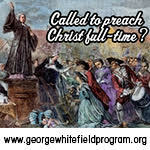 It's our job to distribute that preached word as far and wide as possible! Additionally, through our Transcription & Translation service, any sermon that is available on SermonAudio can be professionally and accurately transcribed by a real human and then machine-translated into 20+ foreign languages. Imagine the joy in finally being able to share your favorite sermons with friends, neighbors, or workmates that may speak a different primary language. We've made the process both easy and economical so that even the smallest church can enjoy maximum outreach and international potential! If your church already has a website, sermons can easily be available via a direct link on your own site. Simply copy and paste one line of HTML code into your web page and your sermons will automatically display on your own site in an interactive sermon browser! If you are a web developer or a web design company, we've made available SOAP API's for even more advanced integration or for client-based interfaces! Additionally, your church will also enjoy many other built-in benefits like posting site-wide blogs, easily sharing photos, selling products in your own professional Web Store, uploading PDFs and VIDEOS, and so much more! For a minimal monthly cost, we offer incredible value and exposure with first-class, personal service. SermonAudio is also involved in an ongoing effort to spread the Gospel via the printed page. 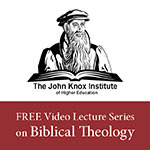 The Gospel of John Project is a sponsor-supported, joint-effort of Trinitarian Bible Society and SermonAudio. Our goal is to print and mail at least 10,000 copies of the Gospel of John to individual homes in the designated target city. Our prayer is that over time, we will be able to reach every major city across America with its own uniquely-themed Gospel of John booklet. In addition to the city campaigns, local campaigns provides the easiest way to reach your local community directly surrounding your church with at least 10,000 Gospels of John. The custom-cover reflects your city, and your church's info is printed on the inside front cover! Visit our Gospel of John section to learn more.. If your church is a faithful Bible-believing, Christ-honoring church that adheres strictly to the Articles of Faith outlined on the site, then please do not pass this opportunity by. We believe there are many good churches of every size who could greatly extend their pulpit influence with our unique service. Our prayer is that the Lord will use this site to save those who are lost, give answers to those who are seeking, encourage and edify the people of God around the world, and further the ministry of the local church. Thousands of churches have discovered this as being the easiest and most effective tool for broadcasting their sermons! But don't take our word for it, read the testimonials from broadcasters like Grace to You, Answers in Genesis, BJU, Beeke, Lawson, Voddie, Vaughn, and many more..
"We have been on the site just over a year. Our people are able to find everything they need on the site and people have found us through our presence on SermonAudio! Our people enjoy exploring your site. It is very well organized. I have used it for years and really appreciate the search engine..."
"SermonAudio has worked very well for our church. It’s easy to learn how to upload sermons and the whole site works very simply. SermonAudio is a great outreach for our church. We are so encouraged as we see from the download reports that we have quite a few people who listen to our pastor’s..."
Read More Testimonials | Read Outstanding Stories! WHY MP3 AND WHAT IS IT ANYWAY? A digital audio revolution is happening right before our eyes. MP3 is an industry-accepted file format that compresses what are typically rather large audio files into much smaller sizes. We have chosen the MP3 file format to distribute all of our content primarily because it is an industry-accepted format which the market is embracing by way of a plethora of third-party portable players. This allows you (the listener) to enjoy great sermons away from your computer while on the road or just taking an evening stroll! Think it's too difficult to broadcast on SermonAudio? Think again! We have put together a special page on "HOW TO" broadcast with us. It's easier than you think!